Types of movement in Global Dynamics. Motion types of Global Aether and its properties, like electromagnetic energy and mass. Large part of argumentation that outlines new types of movement appears in the books Global Mechanics and Global Astrophysics and Cosmology. Before explaining types of movement, we need to clarify the existence of two different types of medium support. On one hand, the reticular structure of matter or Global Aether, which is the supporting medium of gravity, mass and kinetic energy. On the other hand, the medium support of light that is gravity field or tension of longitudinal curvature of the filaments of Global Aether. To ease reasoning, we could call the first one kinetic, gravitational or Global Aether. Also, the second one would be luminiferous aether, which is the gravity field. As we have just said, the Global Aether supports gravity field, and the latter is luminiferous aether. In other words, not only there are two types of aether, but also they are connected, none of them has the characteristics of classical aether because they are not uniform, and they can produce total or partial frame-drag. Types of movement presented here have the perspective of their medium support. That is, they are independent from existing types of movement with other perspectives regarding relationship of space with time, such as linear uniform motion, circular motion, accelerated movement, etc. Nonetheless, it will influence on types of motion regarding inertial and non-inertial systems from Relativistic Mechanics, or on purely mathematical types of movement in Quantum Mechanics. Certainly, following classification of types of movement is quite far-fetched in some of its proposals. The reason is new model of Global Physics sometimes is radically different from current one. Nevertheless, we hope it comes conceptually closer to the physical reality than Modern Physics model, regarding space and time. Given that movement of Global Aether relates those of light and mass, there can be some overlapping descriptions of different types of movement, displacement or motion. These types of movement, or displacement, in Global Physics have little to do with Newton's Laws or with Einstein's Theory of Relativity, and much less with Quantum Mechanics. Refer to example Crossing the river by jumping onto stones to see intuitively how it differs from Theory of Relativity. The decompression of the supermassive black ball squeezed mass could result in an increase of volume and Global Aether motion in such a way that the speed of its movement could be much faster than light. At this stage, propagation of light would be at speeds much faster than *c*, because light would be moving upon the longitudinal tension of the Global Aether. In other words, its physical motion is additive to its medium support speed. This type corresponds to expansion and contraction of the universe. Outside of the stage of inflation, Global Aether is always in movement due to star emission of electromagnetic energy generating expansion of the universe, and to accumulation of compressed matter in the black holes producing contraction of the universe. As explained in Global Mechanics, same phenomena of expansion and contraction of the Global Aether occurs within creation or destruction of the elementary particles with mass. This would be same case as before for neutrons and protons. A different case is stretching of the filament of a reticule in the process of forming protons and neutrons, which ends up giving them stability. 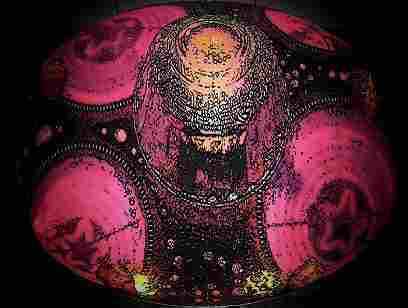 Vibration would transmit longitudinal tension of the reticular structure of matter. Do not confuse with tension of longitudinal curvature of the filaments that generates the gravitational field. This vibration connects to internal resonance of the elementary particles with mass. We should also point out that according to Global Mechanics, due to the presence of the mass, the Global Aether partially configures electromagnetic field or, to be more accurate, gravito-magnetic field and the existence of photons is not necessary. This type of movement includes the dance of wavons and vibration of the nucleus of the atom. The phase of matter formed by zones of compressed Global Aether or particles with mass, but instable, defines wavine, like electron mass. Nevertheless, propagation of electromagnetic energy, as transversal wave of mechanical nature upon longitudinal tension of Global Aether, produces an additional type of movement in Global Aether by altering its spatial distribution. The true medium support of electromagnetic energy is not the Global Aether, but rather tension of the longitudinal curvature of this structure –gravity field, or luminiferous aether. Change in tension of longitudinal curvature of the filaments of Global Aether upholds an alternate explanation of Michelson-Morley experiment. This explanation is unquestionable, since gravitational field accompanies movement of the planets, and would drag electromagnetic energy. Nonetheless, the reticular structure of matter is not a fluid; according to Wikipedia, "The first step in abandoning the concept of elastic aether was taken by MacCullagh who postulated a medium with properties different from those of ordinary bodies. The laws of propagation of waves in this type of aether are similar to the electromagnetic equations of Maxwell." Besides, variation in tension of longitudinal curvature of the Global Aether due to rotation of the planet, and different motion of the particles with mass, could be main reasons for the existence of the Earth's magnetic field. As we mentioned earlier, taking into account electromagnetic energy is a physical disturbance in the luminiferous aether –longitudinal tension of the filaments of the Global Aether–, its propagation always implies a displacement of Global Aether; no matter how small is the variation of its situation in space. This movement derives from displacement of the luminiferous aether or gravity field. Keep in mind that, besides the very same motion of Global Aether, there could be a variation in its longitudinal tension and variation in tension of the longitudinal curvature. Propagation of electromagnetic energy at a speed faster than *c* is maintained beyond stage of inflation of the universe. As long as the luminiferous aether is moving, it will occur an effect of total drag of electromagnetic energy; that is, its speed is additive to its medium support. Electromagnetic energy propagates as a transversal wave over longitudinal waves of longitudinal tension of the Global Aether, including tension of its longitudinal curvature, as a medium support or luminiferous aether. Regardless of movement of luminiferous aether, intensity of gravity field affects speed of light. The bigger the tension is the greater speed of light. 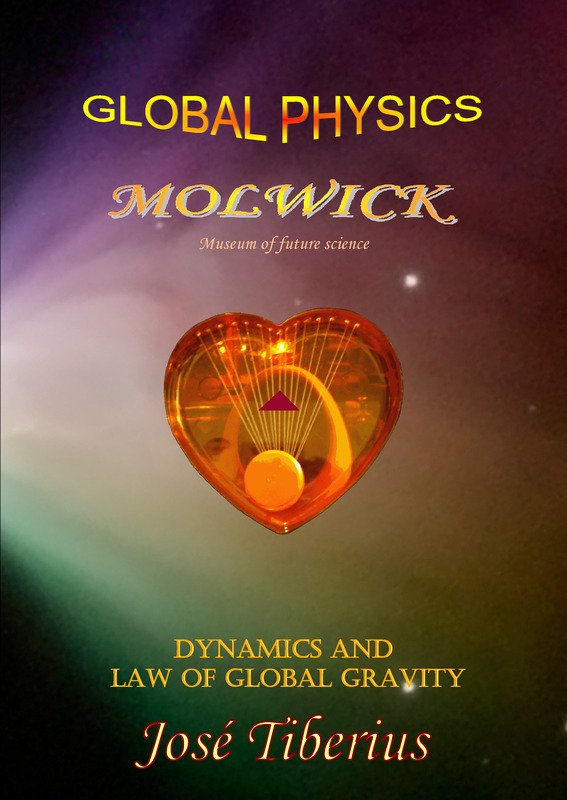 The book Global Mechanics discuss topic of whether speed of light is constant or not. It would also happen with longitudinal tension of Global Aether. Bear in mind how in the phenomena of Astrophysics, large variations in the longitudinal tension can occur without barely any variation in longitudinal curvature of the filaments of Global Aether. Another characteristic or property of propagation of electromagnetic energy in space comes from the radial symmetry of gravity. There are two components of the atractis causa. The Merlin effect mechanism of transferring energy –Mercury Lightning or second component of atractis causa– relates to speed of light, and it is similar to the first component or force of gravity in Newton's Law of Gravity. In case of an object, energy transfer is proportional to its mass, its velocity, and speed of vibration of the longitudinal waves of the gravitational field. In case of electromagnetic energy, it will be double than mass at rest, because speed of light is equal to speed of longitudinal waves of the gravitational field. A thorough explanation is in the book Law of Global Gravity. Implications of this effect are significant in Global Physics, because they explain curvature of light due to the stars and galaxies, or gravitational lens effect. 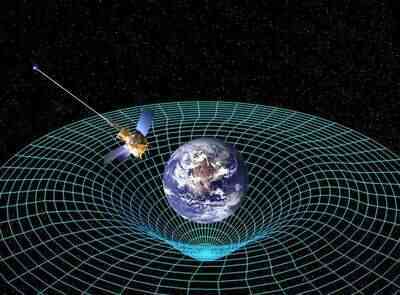 It is an alternative explanation to Theory of Relativity. Displacement in space is not the same as space expanding or shrinking, especially for the sanity of the neurons! Global Mechanics has defined wavons as a new type of particles. Physical mass of wavons is the result of relaxation of the different transversal tension in two points of the reticular structure of matter –electromagnetic tension–, through movement and half-curls. Well-known cases are the electrons neutralizing charge of the atom. This type of movement refers to motion of wavons in space within their orbits since, to change orbits, their half-loops come undone and convert into electromagnetic energy. Afterwards, they create half-fold, curls or loops again that form the wavons in a spatial point that belongs to another orbit. The wavons displace throughout their orbits, as half-slipknots through Global Aether, due to wobbling of the nucleus of the atom, to relax transversal tension that has not eased with their creation. Of all types of movement, this is the normal one, since it refers to motion of the objects in space that we all know. The mechanism that allows for movement of mass is kinetic energy and is what Newton's Laws mainly refer to and, from a recent point of view, concept of kinetic mass or the mass acquired with acceleration, and affecting spatial configuration of the total mass. The movement of mass is odd since, according to Global Mechanics, mass is no more than a loop of Global Aether. In order to move, there should be a mechanism allowing it to move all along Global Aether –kinetic aether–, with the complication of being a three-dimensional loop it. In other words, movement of mass is like a slipknot. Let us cite the Theory of Knots of Lord Kelvin as a predecessor of this theory. Mass moves through kinetic aether almost like a ball moves between sheets, where the ball shares the same threads as the sheets. 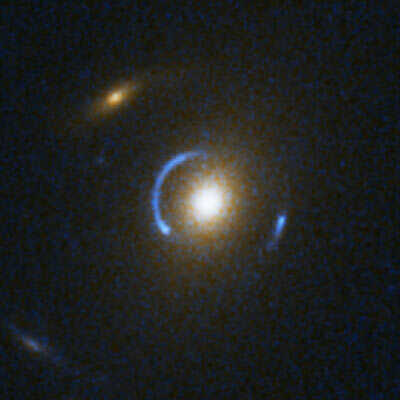 As previous case of gravitational lens in movement of light, first component of the atractis causa will produce normal gravity of Newton’s law. "NASA’s Gravity Probe-B has confirmed with high precision two key predictions derived from Einstein's General Theory of Relativity: the warping of space and time around a gravitational body and the so-called frame-dragging by which the Earth while rotating twists space and time." Law of Global Gravity adds a second physical cause of force of gravity, the Merlin effect, due to velocity upon the Global Aether, or natural system of reference regarding kinetic energy of mass –kinetic aether. The Merlin effect also produces the anomalous precession of planet orbits. We do believe NASA confuses Lense-Thirring effect with relativistic geodetic effect of gyroscopes in their orbit around the Sun –effect Merlin– in its interpretation of Gravity Probe-B observations. 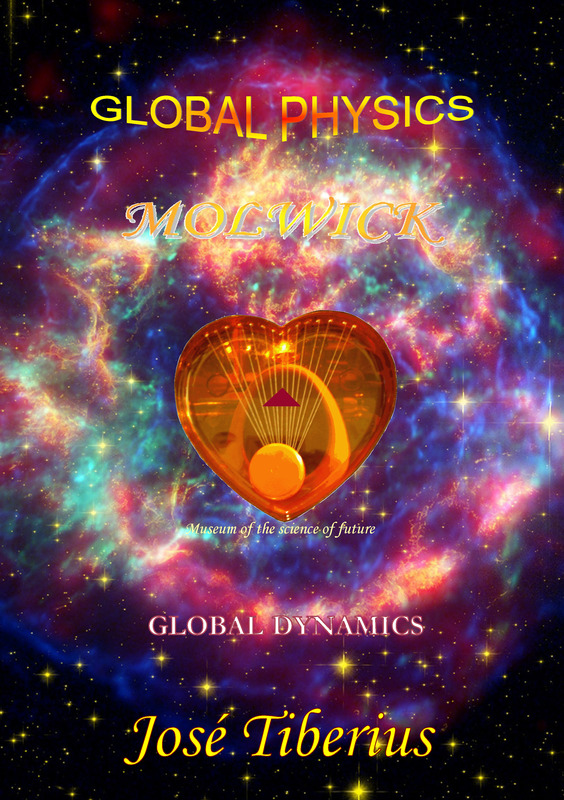 See molwick.com webpage on Lense-Thirring effect and Gravity Probe-B for more information. This type of movement could be confused with previous one, but from a physical point of view, they are very different. It is not a movement of mass upon Global Aether, which is its material support, but rather movement of the Global Aether. This movement would cause partial drag of physical mass. An illustrative example of this type of movement would be the change in space of an ice skater if the skating rink moves. Best way to understand this movement is to think of inverse movement. If an object moves upon Global Aether –kinetic aether– at a certain velocity due to its spatial configuration modulated by acquired kinetic energy, a displacement of kinetic aether will have an effect on movement of the object based on said spatial configuration.